Ideal for a holiday at any time of the year, this property lies in the perfect location with a range of attractions for all ages nearby. 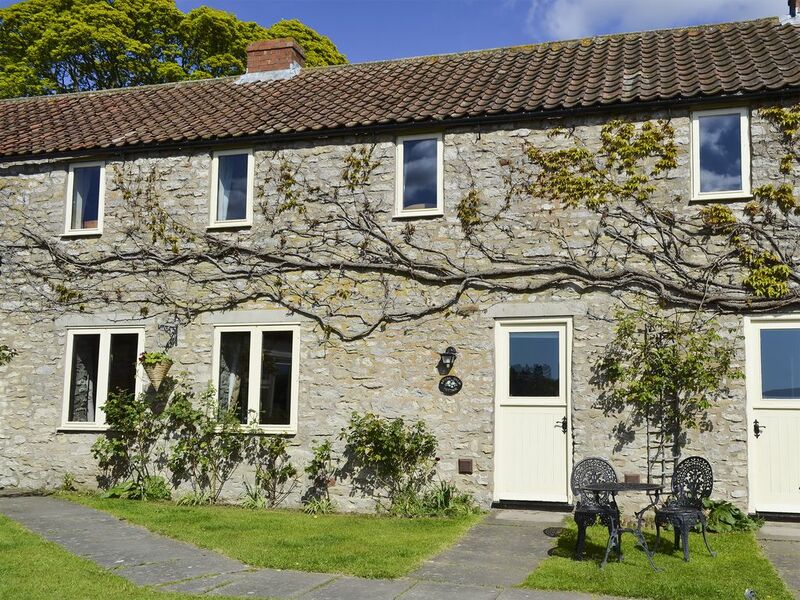 Converted from 18th-century stone farm buildings, Riccal Dale Cottage is one of four characterful and charming cottages, quietly situated in the delightful village of Sproxton. Retaining timbered ceilings and exposed stonework, the cottage is presented with great care to ensure visitors a cosy and comfortable stay. It has its own sitting-out area, and use of further areas where you can appreciate the far reaching views across the rolling Ryedale countryside. There are numerous walking trails from the doorstep. Just a 5-minute drive leads to the bustling market town of Helmsley, with its interesting mix of shops, tea rooms and renowned restaurants. Helmsley has it’s very own brewery, an Arts Centre with a live event and film programme, 5 acres of walled gardens set beside the backdrop of castle ruins, and Duncombe Park, a country estate and home to the International Centre of Birds of Prey. During the summer months there is an open air swimming pool. Explore Sutton Bank, 7 miles, where you can climb up to the White Horse and watch the soaring gliders or hire bikes and and cycle one of the many routes which suit all capabilities. From the popular market town of Pickering, 15 miles, the famous North York Moors steam train transports visitors through stunning scenery to the ancient fishing port of Whitby. Family fun can be found at Flamingo Land and Go Ape at Dalby Forest. Visit Rievaulx Abbey and Byland Abbey, and the stately homes of Nunnington Hall and Castle Howard. The seaside resorts of Scarborough, Whitby and Filey, and the ancient walled city of York are all within an hours drive. Shop, pub and restaurant 1½ miles. Gas central heating, electricity, bed linen, towels and Wi-Fi included. Travel cot and highchair available on request. Use of owners washing machine and tumble dryer. Sitting-out area. Lawned garden with sitting-out areas (shared with owners and other properties on-site). Private parking for 2 cars. No smoking. Open tread stairs to 1st floor. The garden and laundry facilities are shared.